The Seattle Times’ Jerry Large is hanging up his columnist hat after 36 years. As part of his farewell, he sat down for a Facebook Live interview to discuss his career and take questions from readers. The Seattle Times’ Jerry Large is hanging up his columnist hat after 36 years. As part of his farewell, he sat down with his editor, Doreen Marchionni, to discuss his career and take questions from readers in a live interview on our Facebook page. Large started out by talking about how he got into journalism. Some early encouragement from teachers helped, he said, including a particular English teacher who recommended him to work on the school paper. Marchionni asked about Large’s relationship with his audience. It’s not necessarily a monolith, just “a big group of people out there,” he said. “Sometimes when you’re writing, you want to have specific people in mind that you’re trying to reach, and so I would do that.” After meeting so many different people over the decades, he said, “all of their experiences, all of their faces are sort of in my head and I think about that when I’m writing,” considering whether anyone’s experience or perspective is left out. Large has lived in the Seattle area since 1981. In that time, he has seen a lot of change in the community and at The Times. The city is now a wealthy tech center, forcing people who can’t afford it out to the margins of town or to other parts of King County, affecting their access to services, jobs, transportation and more, he said. Technology has affected newspapers, too, drying up the advertising dollars that used to keep newsrooms afloat and leading to cuts in newsroom staffs across the country over the past decade. 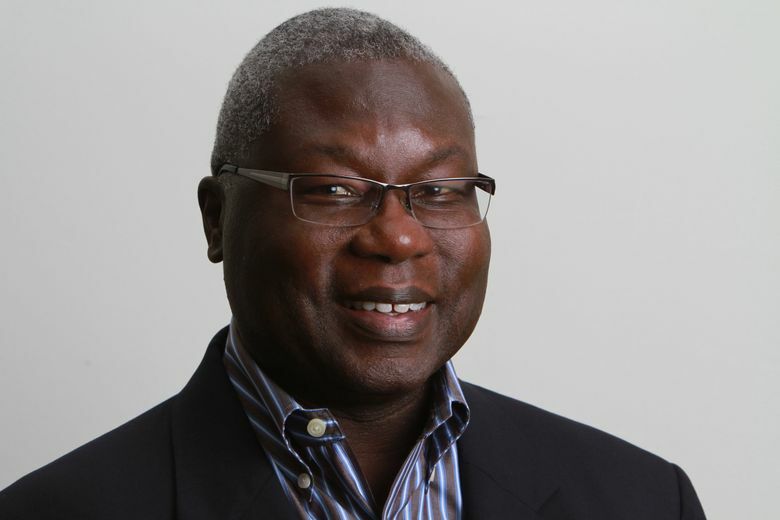 Seattle Times columnist Jerry Large will be retiring after working at the paper for 36 years. Large sat down with his editor, Doreen Marchionni, to answer questions from viewers about his impactful career with the newspaper and community. In addition to questions, some readers simply left fond farewell messages in the comment thread. Large said he’d miss Marchionni too, and that he’d miss readers, especially the nice letters they send that keep him going.